Welcome Audrey! You may remember the fun halloween wall-hanging she shared with us last month. She also has a blog, Audrey's Reflection, which is full of great projects. "I made some place setting tags for Thanksgiving Dinner which we are hosting at our house this year! I used some tags of various shapes and sizes and ran them through an embossing folder that has a "burlap" pattern. I inked the tags and tied some jute twine on the ends. I used a leaf punch to punch an orange, green, and brown leaf, which I folded a bit to make the leaves more 3-D. I took a small square of patterned paper, distressed the edges, and stitched a small border. I then cut my name with a die and glued them on! 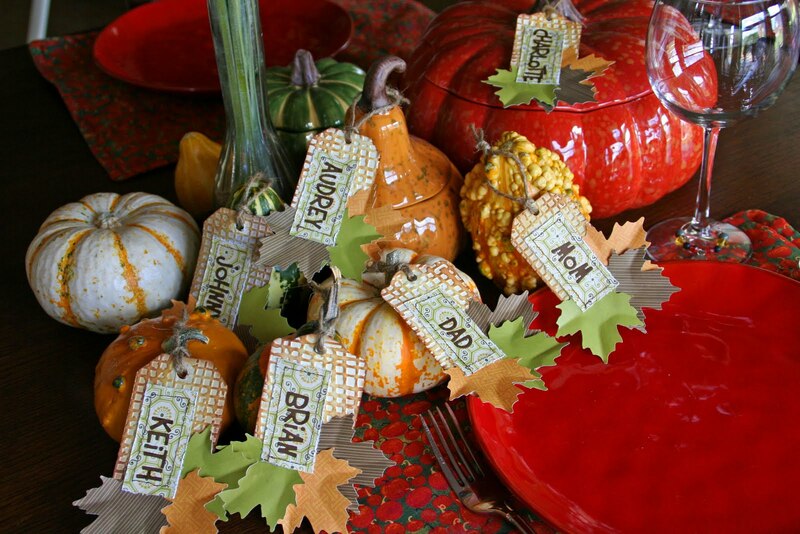 I plan to hang each from a gourd or small pumpkin at each persons seat. I think I am going to do something with them after the day is over, too, but I'm not quite sure yet!" We love how she combined different colors and textures to create this warm and inviting table-setting. 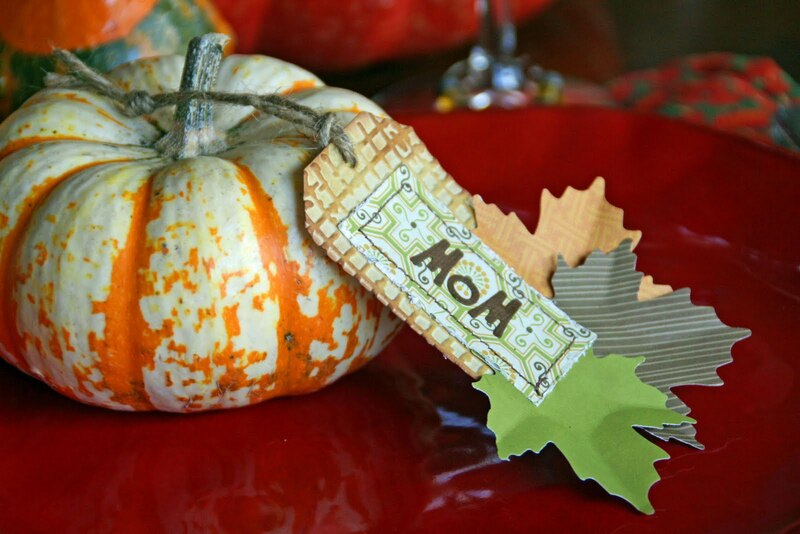 Do you go all out for your Thanksgiving table-settings too? Here's the idea we came up with last year. Any more ideas to share? Gorgeous place cards! Love the burlap embossing and all the little details. Audrey, these are just beautiful!!! I now have a project for tomorrow. :0) Thanks for the GREAT idea! These are AWESOME!! Great idea!! These look great! I like how you folded the leaves to give them more dimension. Thanks for the information that you provided here. Please share more.